Comment: We need a set of steps, three steps and a small landing with partial railing, made out of composite or pressure treated wood, so my wife can get in and out of our swim spa. Comment: I would like to get an estimate for getting someone to replace a wood frame and a Awning. Comment: I need a framing for a sliding glass window and the window installation. We have glass panels that need to come out and replaced with a window. We need the window to be lowered than the original glass panels where. The window has to be a reception window meaning we would also need a counter. I also have a glass door that needs to be replaced with a commercial wood door with the ability to install security on our door. The door would be black frame. Need people to come out and give us quotes for this type of work. Comment: Need a stair case update or remodel. Comment: I just purchased a home, and 19 windows are very difficult to open. I considered replacing however we cant match new windows to wxisting ones. As a result, I am taking bids to repair/restore existing windows. It is a single family home in SN Dimas and need to schedule appointments for estimates this coming Saturday or Sunday. Comment: Staircase was recently rebuilt, looking to have railings installed and finish work performed. Comment: I want to relocate our stairs from the wall side to one that comes down to a midland then turns down, about four from where they are right now. San Dimas Carpenters are rated 4.78 out of 5 based on 557 reviews of 18 pros. 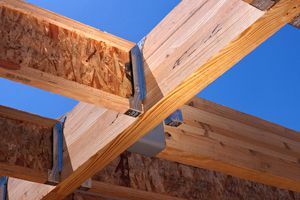 Not Looking for Carpenters Contractors in San Dimas, CA?